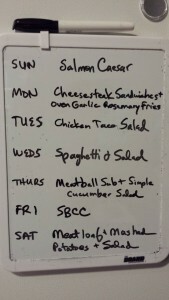 How to Prepare Weekly Dinner Menus. Everyone is really busy these days. How many days per week do you and your family actually sit down together for dinner? Although it’s only my husband and me in our house, our busy schedules do allow us to enjoy dinners together on most nights. Yet I found that planning menus for the entire week takes some of the stress out of weeknight cooking. It’s also helpful for grocery shopping to know what you have planned so you can pick up the necessary ingredients. In order to avoid the “what should we make for dinner tonight?” question that was always haunting us around 4PM each day, I started planning and tracking our weekly menus starting earlier this year. On our refrigerator are two small dry erase white boards . 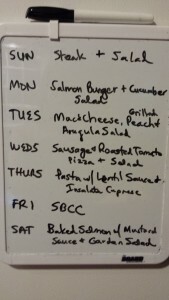 One white board displays our weekly menus by week, and the other displays key ingredients that are in the refrigerator or freezer. These two boards are extremely helpful to allow me to use ingredients before they spoil. 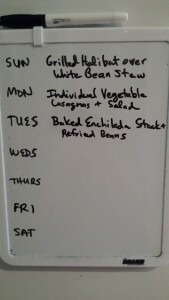 My menus originally started out on Monday and went through Sunday but I found that changing the days to start on Sunday and end on Saturday left me with more time on the weekend to plan the next week’s meals. I use my Amazon Echo ‘s Shopping List capability to add items to my shopping list. I just say to my Amazon Echo device , “Alexa, add eggs to my shopping list.” Alexa will say, “I’ve added eggs to your shopping list.” I will then access my shopping list on my smartphone via the Amazon Echo (Alexa) app when at the grocery store. As a celebration for THREE YEARS of A Food Lover’s Delight, I recently posted a new MENUS page. 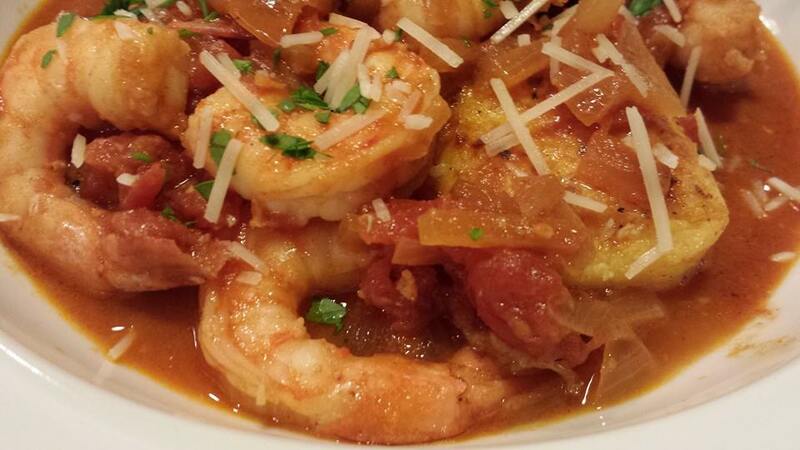 This was meant to help you (and me) construct meals from my posted recipes on this site. It’s also helpful for me as a reference for future meals based on what I’ve already pulled together in the past. 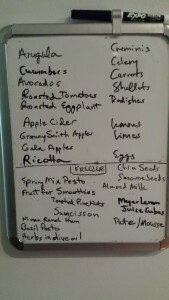 Each Sunday, before erasing the Menus white board and starting over, I take a photo of the previous week’s menu. I keep those menu photos in a folder on my laptop. 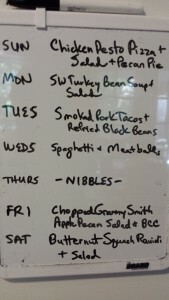 One of the best ways to plan your weekly menus is to work with what’s in season in your area. My Summer menus boast a lot of salads and summer vegetables along with “no-cook” entrees. Winter menus work around seasonal vegetables, braised meats, and hearty stews and sauces. I use what’s already in my pantry, refrigerator and freezer as a guide for my weekly meals. On weekends, I also like to make big batches of pasta sauces, stews and soups to freeze for later use. Freezing sauces, stews and soups in dinner-sized containers makes weeknight meal prep much easier. Once you’ve planned your menu, you can defrost containers in the fridge overnight for the next day’s dinner. This week, I have a few avocados in the fridge that will need to be used. Those avocados are the key ingredient in My Favorite Guacamole. Guacamole and tortilla chips will be a nice appetizer prior to baking my favorite Smoked Pork Enchiladas. Additionally, I have some fresh arugula and some of Hubby’s Caesar Dressing that will make a great salad prelude to The Best Spaghetti with Meat Sauce and garlic bread. I made a large batch of Meat Sauce so I’ll thaw a container of sauce in the fridge the day before. 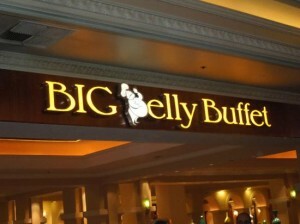 We find that we have favorite meals that repeat such as The Best Burger with Honey Mustard Baked Beans, Sockeye Salmon Burgers topped with The Best Tartar Sauce with a side of Simple Cucumber Salad, Cowboy Smokehouse Salad with Pulled Smoked Pork and Chipotle Cream Dressing, and my personal favorite Open Face Chicken Gyros with Garlicky White Bean Dip and Carrot Sticks. Additionally, you can create menus using your own favorite recipes and ingredients that you have on hand. 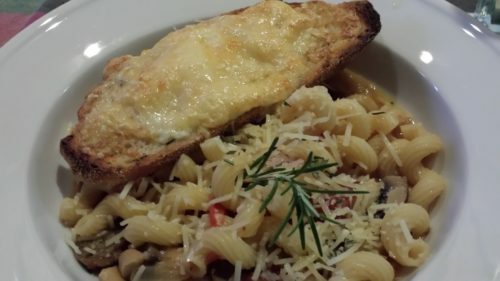 I always buy certain pantry staple items like canned black beans, fresh arugula, canned tomato sauce, fresh chicken breasts, local farm fresh eggs, and dry pastas for quick meal preparation. 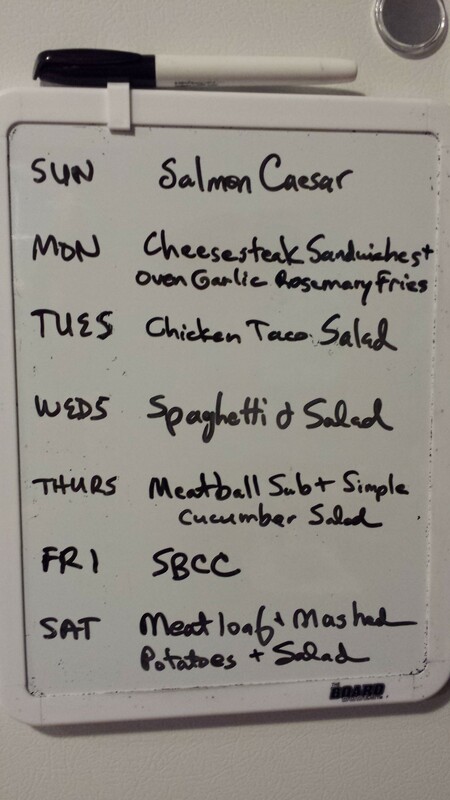 Let’s take a look at a sample week’s menu (photo below). I’ve started with a Salmon Caesar Salad which includes my husband’s Caesar Salad Dressing. On Monday, my Gooiest Cheesiest Cheese Steak Sandwiches and store-bought oven roasted Garlic Rosemary Fries are on the menu. For Tuesday, try my Festive Chicken Taco Salad. On Wednesday, our favorite Spaghetti with Meat Sauce and a field greens and shaved carrot salad with Roasted Walnut Oil Dressing fit the bill. Thursday calls for a Hearty Meatball Sandwich with a side of Simple Cucumber Salad. Friday night is our usual “Salad, Baguette, Cheese and Charcuterie” dinner which stems from my “How to Assemble a Cheese Tray” posting. Finally, on Saturday, my Bacon-Topped Meatloaf, Easy Mashed Potatoes, and a tomato and arugula salad with Tarragon Balsamic Dressing finish out the week. 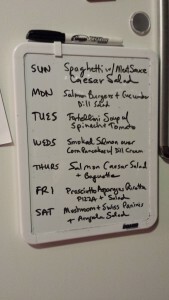 Try planning weekly menus and you’ll find that dinners come together a lot easier. Use your smartphone apps for a shopping list (I love my Alexa !) to speed up your shopping trips. Any type of list is great. You can also use your “Notepad” app on your smartphone which is what I used before I got my Alexa. Base your shopping list on weekly menu ingredients and spend your Sunday afternoons making batches of my Award-Winning Black Bean Chili and Lentil Marinara Sauce for the freezer. I hope this posting has helped you get excited about planning dinner menus. Anything to make life easier is a good thing! Additionally, I want to throw in a nice plug for Amazon’s Echo device also known as Alexa. If you are an Amazon Prime member like me, along with helping you build your shopping and to-do lists, Alexa will play Prime Music, Tune-In, Pandora, iHeart Radio and other selections when you ask. “Alexa, can you play Dinner Jazz Excursion from TuneIn?” Right now, I’m listening to Ocean Waves by Joe Baker. With the constant sounds of soothing ocean waves, it’s just like I’m sitting on the beach right now but without the crowds. You can also connect your home lights and other devices to Alexa. It’s great when I’ve left the house and realized that I forgot to turn on background music for our dog to keep the outdoor sounds from agitating him. I can access my Alexa app on my smartphone and she will turn on some music for the dog. Pretty neat. Alexa will give you a news report, weather report, sports scores, and countless other fun things. Ask her to tell you a joke. And you can tell her “Goodnight” and she will respond in kind. Alexa does a whole slew of other things and I haven’t even scratched the surface! Let’s just say that Alexa’s nice to have around. Order your own Amazon Echo (Alexa) device through Amazon.com. I’ve had mine for 9 months and I love it! 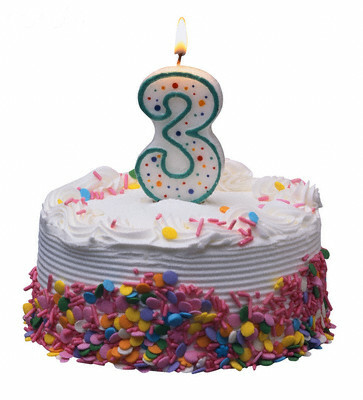 Celebrating THREE Years of A Food Lover’s Delight!